We've made the argument for some time that a good modding community and culture is a boon for games and game creators. Far from the dangerous infringement on the original works that some seem to think, a prolific modding community can lengthen the shelf life of a game, improve it for customers of the original work, and even allow the original work to spiral off into unforseen directions, all of which only serve to increase the game's playability, replayability, and fun factor, making it all the more attractive for purchase. All that being said, it's fun for gaming enthusiasts like myself to watch a decades old game being yanked into modernity through the modding community. An obvious example of this is the original Doom games, still relevant enough to warrant the modding community developing a way for players to take "selfies" in-game. 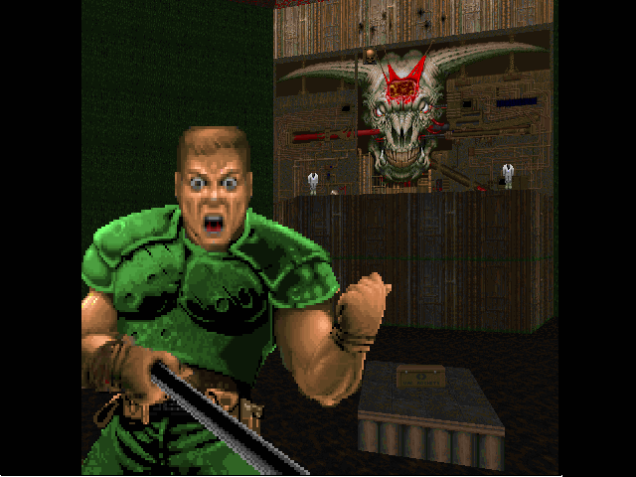 After almost 22 years Doom is finally finished thanks mod-maker Linguica's "InstaDoom", which adds 37 InstaGram filters to the game and swaps out the fabled BFG with a selfie stick. Available as a free download over at Doom World, "InstaDoom" gives players of the classic shooter a chance to take the battle to the next level by applying filters like "Ashby", Lo-Fi" and "Valencia". This, of course, is simply the latest mod coming out for a game that has one of the most insane mod-rosters of any in the history of gaming. The whole modding of the game original took off in no small part because Doom was an incredibly well-made game, but the continued modding of the game by the loyal fan community is what propelled the game far beyond being relevant to gaming, to instead being relevant to culture as a whole. The very idea that a game made over two decades ago, long before smartphones existed and any of us had to put up with the term "selfie," has been dragged into relevance with cultural motifs tossed in for effect by a modding community still going strong shows the power of a passionate fan base. With the success of Doom still on display, and sequels continuing to ride on the early success of a franchise still enjoying relevance in its oldest parts, why would anyone want to kneecap the modding community? Not to mention all of the twenty buck pallet or texture swaps.